Discourse:PROSELYTISM AND GIMBA’S FICTIONS (I) - Abdullahi Ismaila Ahmed. 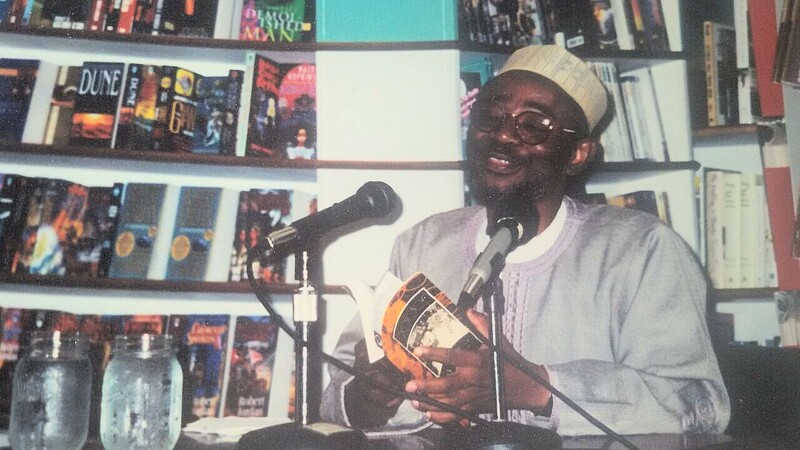 Abubakar Gimba wrote a total of sixteen books while he was alive including the one that was published posthumously. Nine of these are creative works, while seven are essays of which two are in letter form. The creative works are: Trail of Sacrifice (Novel,1985); Witnesses To Tears (Novel,1988); Innocent Victims (Novel,1988); Sunset for a Mandarin (Novel 1991); Sacred Apples (Novel 1996); Footprints (Novel,1998); Inner Rumblings (Poetry,2000); This Land of Ours (Poetry,2000); and A Toast in The Cemetery (Short Story,2003); The essays are: Once Upon A Reed (1999); Letter To The Muslim Fundamentalist (2004); Why Am I Doing This? (2007); Thought of Yesterday, Letter to The Unborn Child, A Matter of Faith (2012); and Oh, Uhud Thy Haunting Spirit published posthumously in 2016. Some of the essays like Letter to The Unborn Child and Oh, Uhud Thy Haunting Spirit are laced with fictional features which makes reading them fascinating. A common thread runs through all his books. Here I mean all categories of his works. This common thread I like to term proselytism or proselytization. It is easy to come up with this concept as the dominant leit motif of Gimba’s writings particularly because of his impeccable personeity. In life and in his writings Gimba is avowedly a preacher, a committed proselytizer, who earnestly seeks to convert or win over people to his perspective or opinion without being uppity. It is this unmistakable voice note of a preacher that subtly underlies all his works, especially his fictions. The concept of proselytism is rooted in early ‘Christianity or earlier Gentiles to refer to the attempt of any religion or religious individuals to convert people to their beliefs or any attempt to convert people to a different point of view, religious or not’. Although this concept is no longer fashionable in the Christendom, it is nonetheless useful as a prism through which to assess a subtle literary attempt to preach or proselytize without appearing to do so. In all his works, creative and essays, Gimba slickly attempts to win readers to his perspective, whether on religious or political matters. Path, and who receive guidance. is understood from such practical terms. To understand proselytism in Gimba’s fictions, we have to view it from two perspectives-Islamic religion and political matters. On Islam he states that, “I don’t have any grouse with the principles of Islam but I have problems with some people who use the religion to satisfy their whims and caprices. These are people who are doing things which are at variance with what the principles of Islam teach” (Ismaila, et al: 2008). He therefore sees himself as a teacher who corrects the mistake of his pupils. That is why he uses his works to attack or react to the way Islam is being practiced or portrayed by some people. On this score he looks into the family set-up, the marriage institution and children upbringing. On the political matters, Gimba concerns himself with the issues of citizenship, national unity, political stability, nation-building, corruption, leadership crisis, and the economy. According to him, “Nigeria means the hopeful realization of my most cherished ideal --- I cherish the fundamental ideals of freedom, equality and fraternity” (Ismaila et al:). Gimba’s first novel, Trail of Sacrifice, professes the virtues and values of the National Youth Service Scheme, referred to in the book as National Objectives Fulfillment Brigade (NOFB). The lead character, Sadiku, is led through tortuous road to self – discovery and growth. The novel attempts to allay the fear of potential Corp members who are wont to see the scheme as a threat to their lives and culture especially at the time it was introduced. The novel is therefore written as a voyage imaginaire. In this novel, Gimba reifies the importance of national unity, of national service as a sacrifice, and the need for cultural understanding. He states that the story of the novel serves as a basis “for Nigerians to cultivate the habit of living together in harmony” (Ismaila, et al: 2008). This is the important political message he preaches in the novel, and to which he wants to rivet our attention or win converts. will be burnt in a fire of blazing flames! The second part will be published.